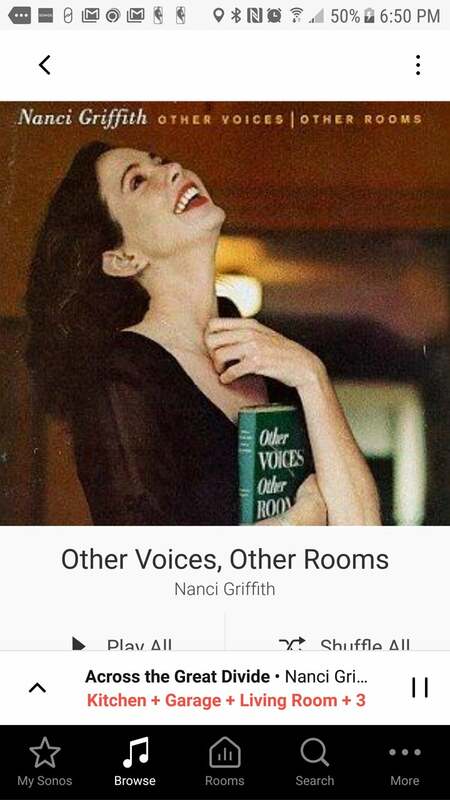 If you already have Sonos speakers in other rooms, you can control all of them with voice commands with the addition of a single Sonos One to your network. 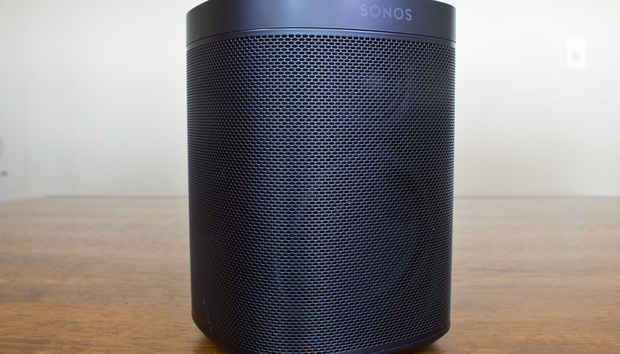 And once you have that, you can control any Sonos speaker from any Amazon Echo. 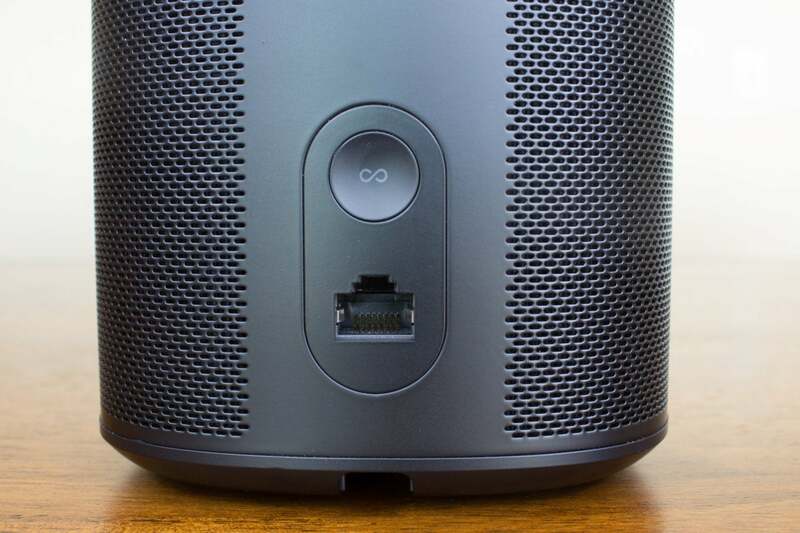 There are some limitations you’ll want to be aware of: You’ll need to use the Sonos app to group two or more Sonos speakers together (and to split them apart). But once you’ve done that, you can tell Alexa to play the artist or song of your choice on any of the speakers in that group. 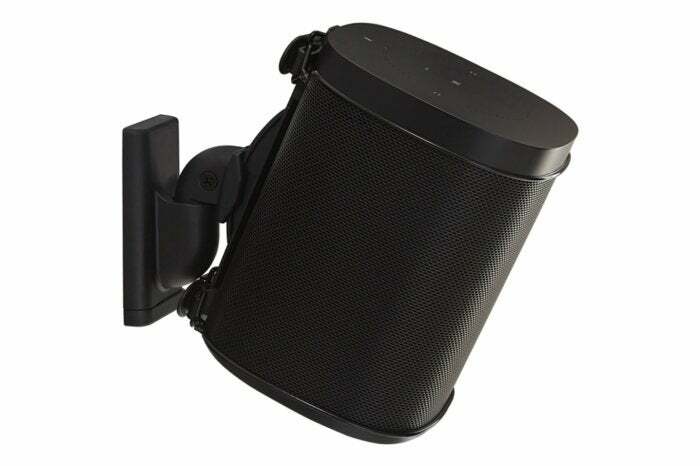 Beyond the color of the grill, the most noticeable difference between the new and old speakers is the top. The Sonos One is perfectly flat, with the type of touch-sensitive controls for play/pause and volume up/down that you’ll find on its big brother—the Play:5. You’ll also find a touch-sensitive button for muting the onboard mic that you’ll use to summon your digital assistant of choice, and an LED that glows when the mic is on. That’s the opposite behavior of Amazon’s (and Google’s) smart speakers, and those of us who have an aversion to the light pollution created by the proliferation of LEDs won’t like it all. Another feature I don’t like: The speaker emits a tone when it hears its wake word. If you’ve been cranking the tunes and forgot to turn the speaker down, that tone can be startling when the room is otherwise silent. No big deal, right? You can just change those settings in the Sonos app. Except you can’t. The locked-in arrangement “…ensures that the customer has confidence in the status of the microphone at all times,” was the response to my fact-check questions. Any lingering doubt that Sonos simply added mics and new firmware to transform the Play:One into the Sonos One, however, will be dispelled as soon as you hear the new speaker. Sonos’ entry-level speaker has long been my least favorite in the company’s lineup. It’s not a bad product, it’s just too bright to my ears. It desperately needs to be paired with the gut-punching (but wallet-punishing) Sonos Sub. Then again, $699 is a lot of dough just to reinforce a $200 speaker. When I queued up Tower of Power’s “Squibb Cakes,” from the band’s album Back to Oakland, which I’d ripped from CD and encoded to FLAC, the Sonos One impressed me with its much bigger bass response and improved midrange. Stephen Kupka’s bari sax sounded so much fatter than it did on the older speaker. And where Chester Thomposon’s frenetic work on the Hammond B3 seemed to have difficult emerging from the Play:One, it happily bubbled up to its due prominence on the Sonos One. The Play:One delivered great performances with more acoustic fare as well, beautifully rendering the two-part harmony of The Unthanks’ aching rendition of the Scottish folksong “Anachie Gordon,” from the duo’s release A Retrospective. I acquired that recording in Apple Lossless format from Bowers & Wilkins’ Society of Sound download service. When I first tested the Sonos One, I set it up in my kitchen, where I was also testing Amazon’s Echo Show. When I’d forget to mute the Sonos, its more sensitive mic array would invariably cause it to beep when it heard the wake word, but the Echo Show would always wrest control and respond to my commands—even if it was further away. The problem disappeared as soon as I moved the Sonos One into my home theater for my critical listening tests. In there, the speaker consistently impressed me with its ability to hear my voice even when it was playing music very loudly. Actually, when any Amazon Echo hears the Alexa wake word, all of the speakers will shush until you’ve finished speaking and the Echo (or the Sonos) in control has responded to you. The music then returns to its previous level. Amazon also supports iHeartRadio, Pandora, SiriusXM, TuneIn, and Spotify, but you must ask for those services by name. And Amazon won’t pass Spotify streams through to its partner’s hardware—even if you’re a paid Spotify subscriber. 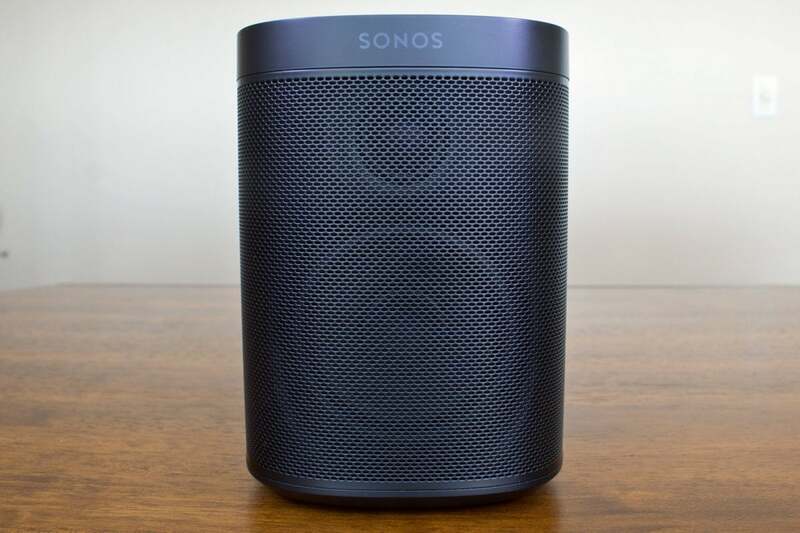 The good news: Sonos says it will be Amazon’s first partner to gain that privilege later this year. You'll need new hardware to mount a Sonos One. Sanus and other manufacturers will happily oblige. If you initiate a stream from your own server—or from one of the services that Sonos supports but Amazon doesn’t—using the Sonos app, you can ask Alexa to back and forth through your playlist or queue. You can even ask her what song is playing, and she’ll tell you the name of the song, album, and artist. Ask her to play a specific artist, album, or song, however, and she’ll go back to Amazon Music. 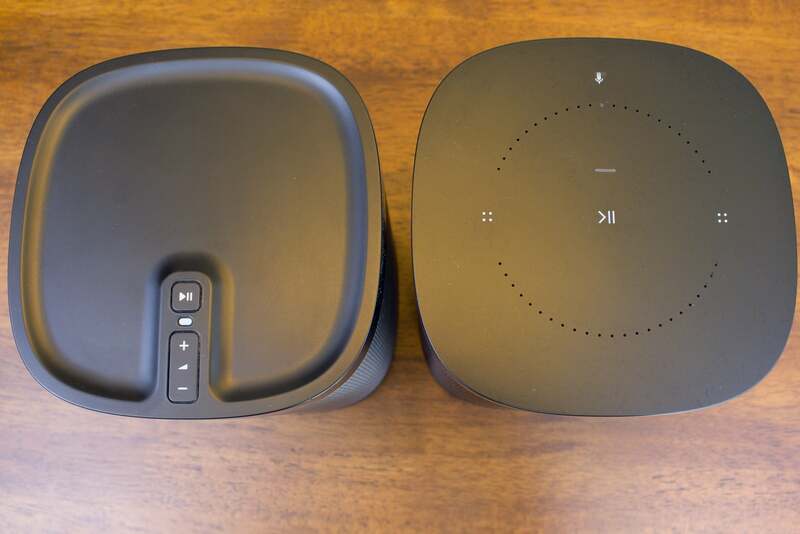 Unless you find the drawbacks I’ve described to be deal breakers, the Sonos One is a no brainer. That goes double for anyone who already owns Sonos components, and triple for Amazon Echo users. We’ll have to wait and see if Sonos executes as expertly with its Google Assistant and Apple AirPlay 2, but I’m optimistic on those counts based on past experience. The Sonos One is the best smart speaker I’ve heard yet.